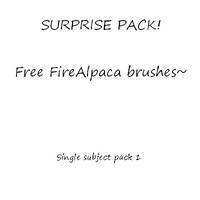 IF YOU ARE HAVING TROUBLE INSTALLING THESE BRUSHES AND YOU CANNOT SEE THEM WHEN YOU ACCESS FIRE ALPACA, TRY FIRST TO UNZIP THEM ONE MORE TIME. IF YOU CANNOT SEE EACH INDIVIDUAL ALPHA AND SETTINGS PNG, YOU WILL NOT BE ABLE TO INSTALL THEM! 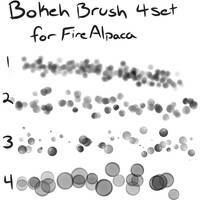 THESE BRUSHES WORK WITH ANY PROGRAM THAT CAN USE ALPHA BASED BRUSHES, BUT THE SETTINGS INCLUDED ARE DESIGNED TO WORK WITH FIREALPACA. Second Paid Pack! Started out as a suggestion by HAYMAKERS and just got really out of hand! Hope you like it, and enjoy, guys! 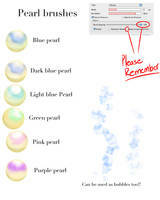 can you use these for commissions without crediting the pack? 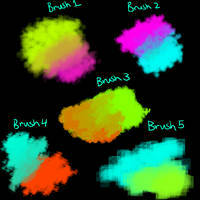 you must credit me if anyone asks you where you got the brushes. You may use them but if you are posting them here on DA or on tumblr you must credit me as cocobunnie or frivilosity respectively. are these free or do you have to pay for them? 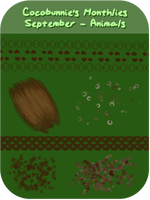 Um, when I try to download them, I open it on FireAlpaca and it draws this image??? Help?? 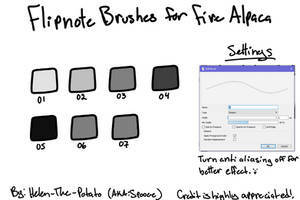 They are usable with any program that allows alpha based brush creation, so yes! 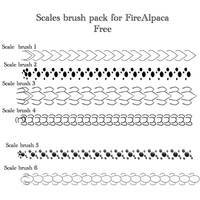 However you will need to manually install the brush - they are not sai brush files. 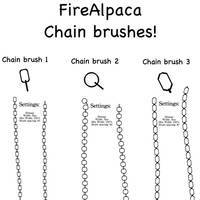 so to make this did u just draw 1 square to convert to a brush? 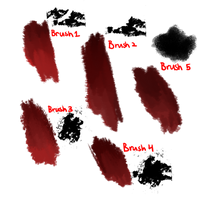 Actually there's a couple different squares and rectangles in this pack as well as many different settings I have adjusted to make the brushes shown in the preview. Maybe you could send a message to me when it's free or if there is another pack that's like this! 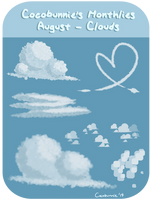 This one will never be free, but you can check out my current freebie/monthly packs <a wytiwyg="1" href="" http:="" cocobunnie.deviantart.com="" gallery="" 50508131="" brushes="">here. 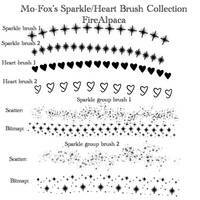 Can I buy just one brush? Ohhh, thank you! I bought it anyway, and I LOVE it. Also, when you mean for profit use, do you mean for prints? And am I allowed to use this for commissions? 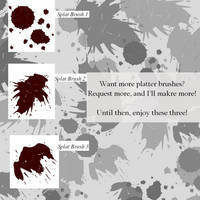 I mean it for prints or commissions, any time you will be making money using my brushes. I do not mind, so long as you credit me when you post the commission. If you plan on posting the commission on other platforms (like tumblr or something) please let me know and tag me with the appropriate UN. :> Does that answer your question? Ohhhh, yes it does! Thank you so much! Good luck!!!! You can do it!!! Good luck!!! And thank you for saving up! 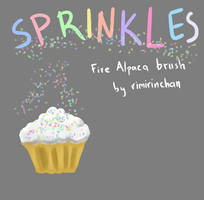 I bought this, but I'm having issues with the brush files. 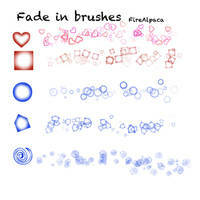 I extract, but I can't find the brush pngs and the ones included aren't like the shown above. 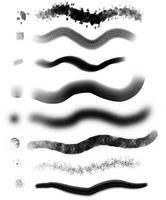 The PNGs should each be in a folder with the brushes that use that alpha, and once you input the settings it will look like the brushes shown in the preview! Sorry! ;w; Gotta make a living somehow! 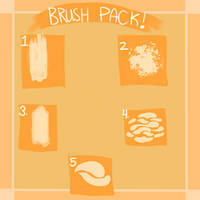 But, if you want it along with a bunch of other goodies, I do have a patreon where you can get all kinds of brushes! Glad to be of service! Hope you like them!